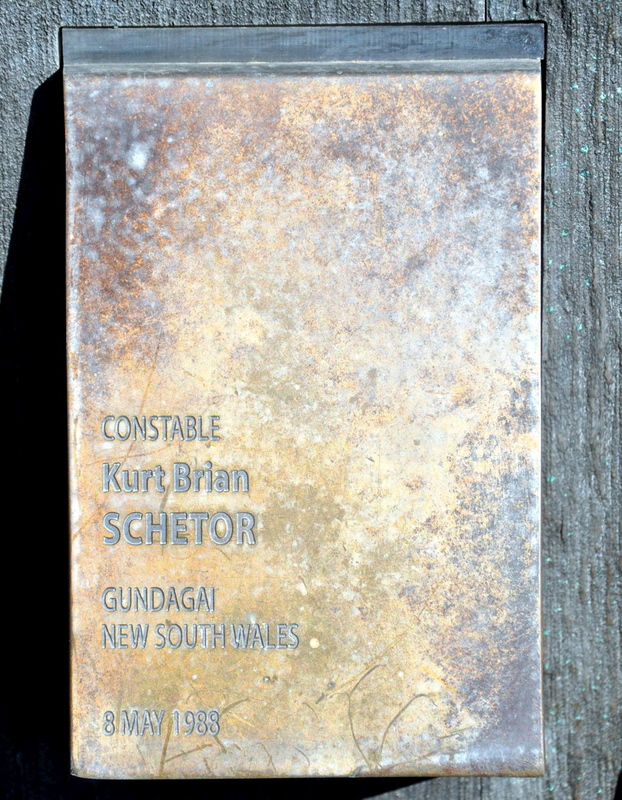 About 10.15pm on 8 May, 1988 Constable Schetor was driving an unmarked police Highway Patrol vehicle along John Middleton Drive, Gundagai. For reasons unknown the vehicle crossed onto the incorrect side of the roadway and collided with a truck. 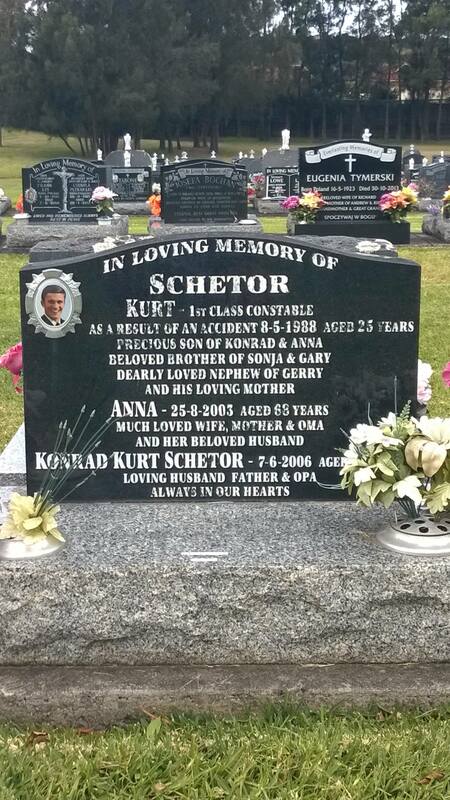 As a result of the collision Constable Schetor and a civilian, Mr Anthony Smith, were killed instantly. Two other members of the public were also injured. 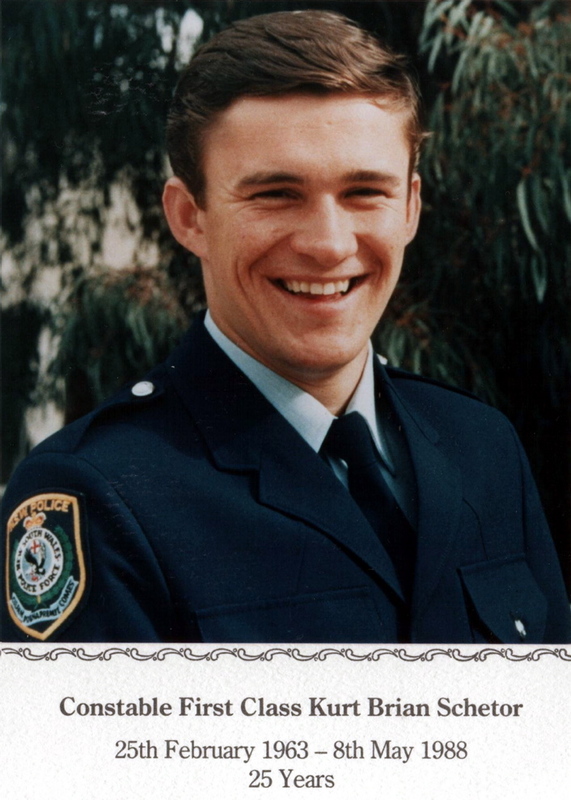 The constable was born in 1963 and joined the New South Wales Police Force on 27 October, 1984. At the time of his death he was attached to the Gundagai Highway Patrol. 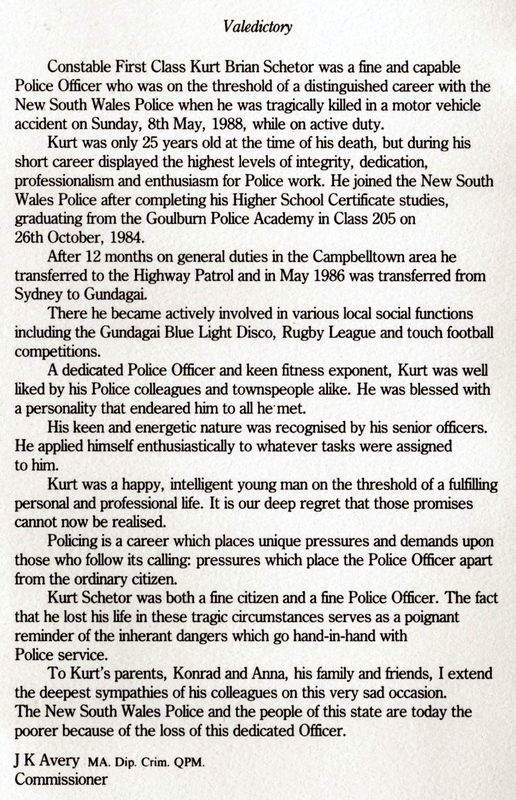 Kurt was buried at Lakeside Memorial Park Cemetery, Kanahooka Rd, Kanahooka ( Wollongong ), NSW. Touch pad at the National Police Wall of Remembrance, Canberra. Sept. 28, 2006, 8:28 a.m. REPRESENTATIVES from Orange Police Station will today attend a national memorial in Canberra for Police Remembrance Day. For Inspector Greg Pringle and Canobolas Local Area administration manager John Pirie, the day bears a special significance. John Pirie was just coming up to his fifth birthday when his 40-year-old father Senior Constable Clarence Roy Pirie was shot at point-blank range and killed near Capertee. It was on October 13, 1960, that Mr Pirie’s father was patrolling when he came across a stolen vehicle. 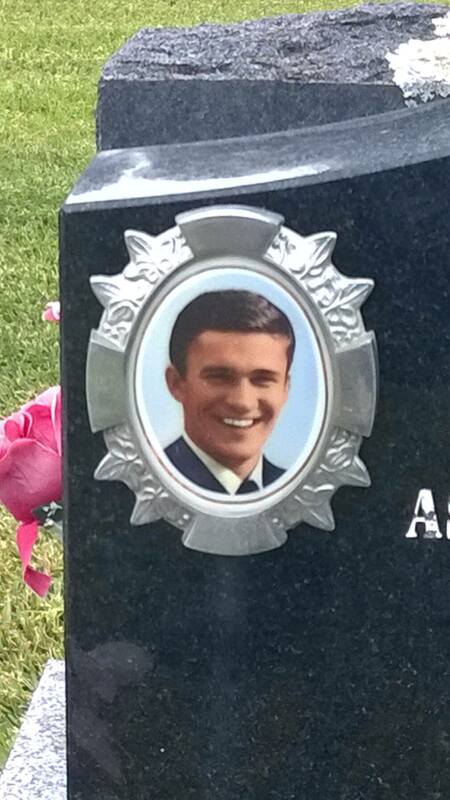 He stopped the vehicle and spoke to two youths inside, but one of them pulled a gun on Snr Const Pirie and shot him. Inspector Pringle’s experience is in contrast, but he agrees the grief that comes with losing a colleague on the job remains for many years. “I was with highway patrol working out of Cootamundra in 1988. I had a cup of tea with a fellow officer Constable Kurt Schetor before we headed off to patrol in separate directions,” Insp Pringle said. 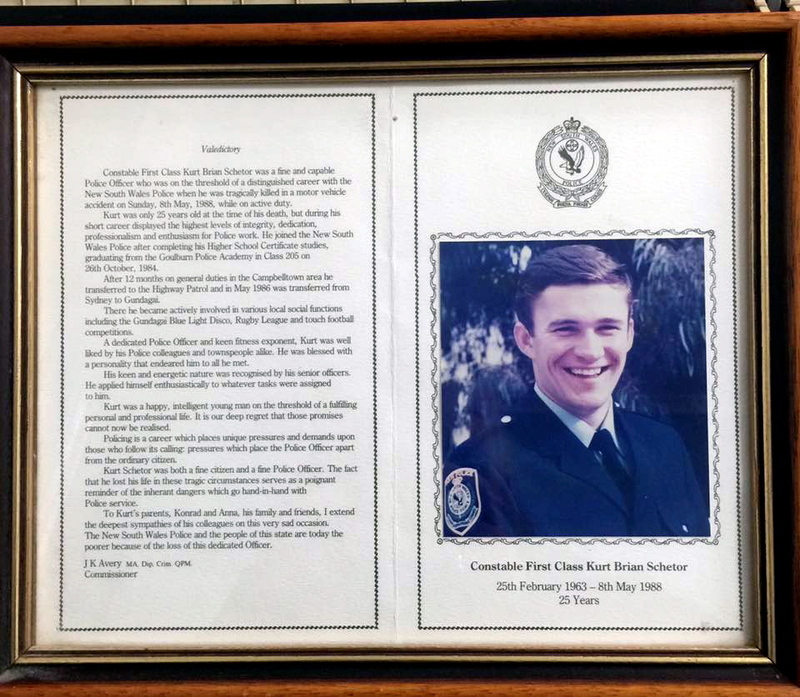 Ten minutes later the then Constable Pringle received a call to respond to a crash and he arrived to find his friend and colleague was in involved in a head-on crash with a truck. “I did my best but I couldn’t revive him,” he said. Insp Pringle said many police officers carried a burden of grief with them for colleagues who died on the job. “In many ways it is harder to deal with your own grief,” he said. Officers from Canobolas Local Area Command will not be marking Police Remembrance Day in Orange this year. Instead, this year’s service will be held at Cowra which is part of the Canobolas Local Area Command.